At the Cibolo Nature Preserve in Boerne, Texas, cypress trees line Cibolo Creek. 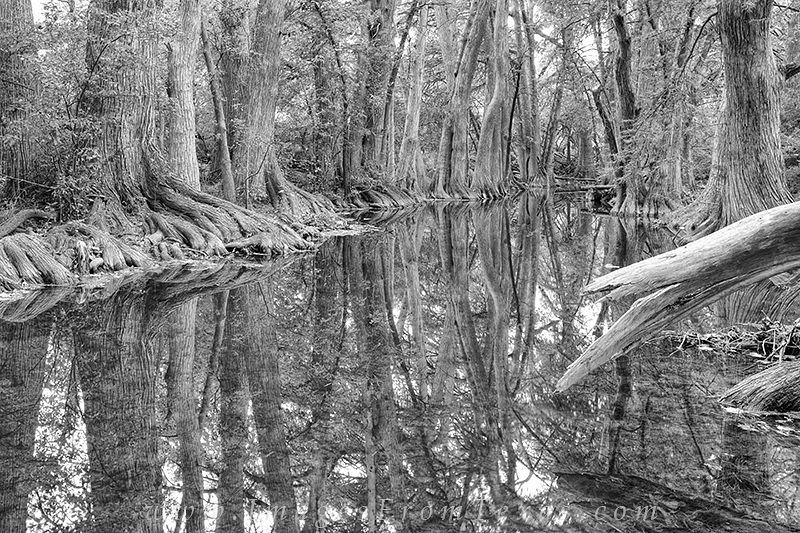 With their twisting roots, this makes for great opportunities to photograph the contrasts and reflections in the water. The conversion to a black and white image brings out the details even more. Photo © copyright by Rob Greebon.